Connecticut Public Television > Inside CPTV > Sing That Thing! Returns for Season 5 – Register to Participate Today! Sing That Thing! Returns for Season 5 – Register to Participate Today! The popular singing competition series Sing That Thing! is returning for a fifth season. Sing That Thing! has given talented choral singers from across New England the opportunity to stand up and sing out in front of a television and online audience of thousands. The top four groups who make the Grand Finale will receive a $1,500 honorarium in recognition of the additional time, effort, and expense for groups who must return for an additional day of taping. 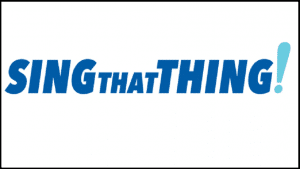 Stay tuned for information on when the new season of Sing That Thing! will premiere on CPTV!